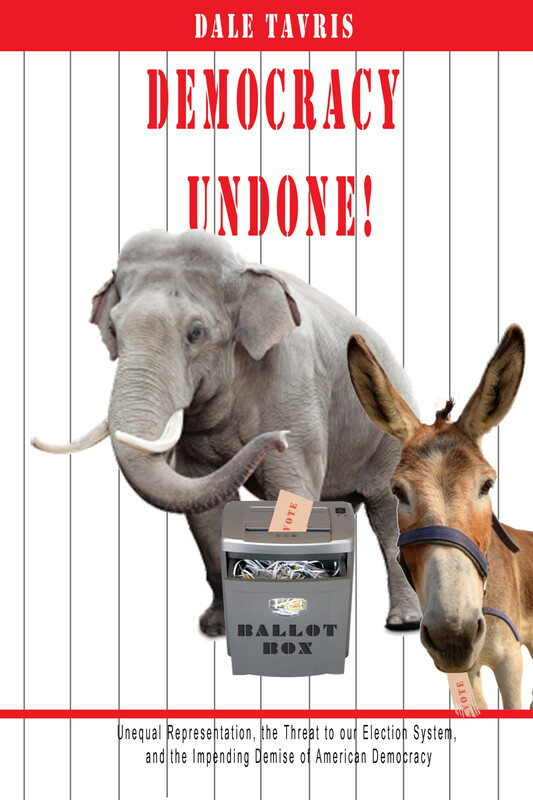 Released as an e-book just before the 2012 presidential election, Democracy Undone shows how the 2000 and 2004 elections were corrupted, and what we can do to combat fraud this time. Our electoral process is rotten: in their quest for private profit, American corporations and billionaires have progressively undermined our democracy. Money is used to sway elections and to buy politicians who are intent upon conducting our nation’s business in their own interests rather than in the interests of the voters who elected them. The author is Dale Tavris, MD, MPH, who has worked as an epidemiologist and public health physician in state public health departments, the U.S. Air Force, the Medical College of Wisconsin, and the Food and Drug Administration (FDA) since 1979. He has published dozens of scientific articles in medical and public health journals, and two books (“Philosophy in Epidemiology and Public Health” and “The Unfulfilled Promise of the American Dream”). The book has received pre- and post-release critical acclaim from several key political analysts. “There could not be a more timely or important book to read this November,” is just one example of what is being said (see reviews on Barnes and Noble and Amazon). This is a most important subject. Without free elections we are not free. I have read excerpts and believe Dr. Tavris has done a great job of getting to the root of the problem.